Crimean Tatar activists began collecting signatures on a petition to UNESCO to suspend the so-called restoration of the Khan Palace in Bakhchysarai, the veteran of the Crimean Tatar national movement Zevdzhet Kurtumerov informed. According to him, the action to collect signatures was initiated by the Mejlis of the Crimean Tatar people. 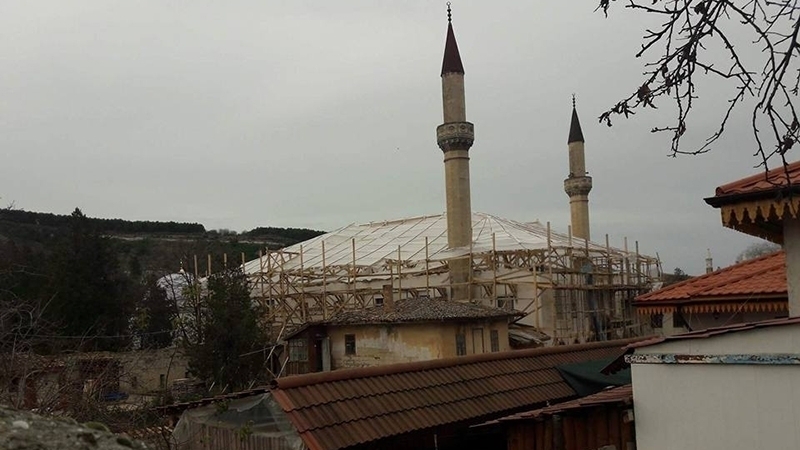 Kurtumerov noted that it is already known around the world that the Palace of Crimean khans is being destroyed under the pretext of restoration. “The Crimean Tatars decided to collect signatures under the appeal to UNESCO to stop these works as soon as possible. In two weeks we managed to collect several thousand signatures," he said. Reportedly, the collection of signatures is still ongoing and it is not yet known how long it will last. And a few days ago a one-person picket took place at the Khan Palace. A young man in front of the palace was holding a poster with the inscription: "Stop Vandal".